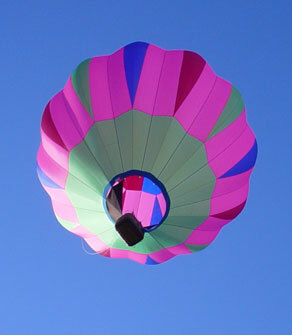 A gift certificate is a wonderful way to bring the joy of ballooning to somebody special. Our beautiful gift certificates are custom made on balloon bordered paper and will name the person or persons it is good for, the reason for the special occasion and the name of the person or persons the certificate is from. Also included is a letter and some of our brochures which explain what the recipient needs to know to get the most enjoyable experience possible.